The William Ellis Saint House is a good example of the vernacular architecture of this period. Constructed around 1899, the William Ellis Saint House was the home of the Saint family for generations until Doug Little purchased it in 1991. The two-storeyed house has a steep gable roof. 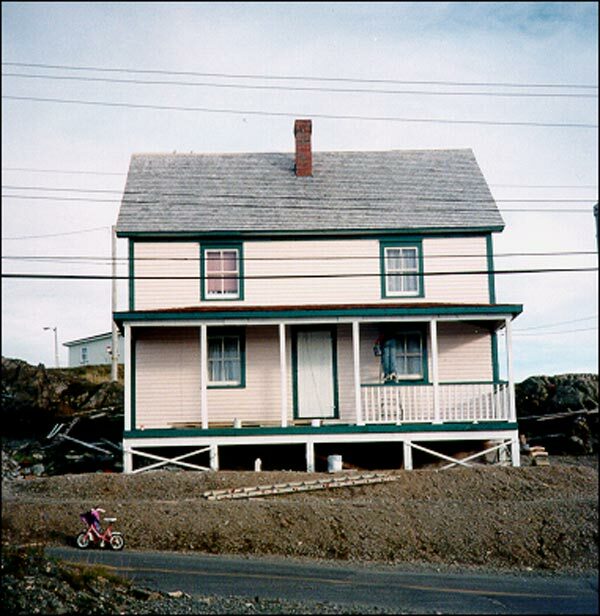 The Saint House is a good example of the vernacular style in Bonavista in the late nineteenth and early twentieth centuries. The Heritage Foundation of Newfoundland and Labrador designated William Ellis Saint House a Heritage Structure in April 1995. Also view William Ellis Saint House Registered Heritage Structure, and William Ellis Saint House Municipal Heritage Site on the Heritage Foundation of Newfoundland and Labrador web site. The Newfoundland and Labrador Heritage Web Site has on its site only a portion of the registered heritage structures in Newfoundland and Labrador. To view a complete list or search for a particular structure visit the Heritage Foundation's Property Search page.